Billions of dollars are needed to keep the Earth safe from asteroids like the one that smashed into Russia last month, experts have told the US government. While NASA has made good progress cataloguing nearly 93 per cent of larger Near-Earth Objects (NEOs), smaller meteorites like the Chelyabinsk one - which was around 17m wide - can often slip through the net. Experts met with the House Committee on Science, Space and Technology to review the government's efforts to track and mitigate against asteroids and meteors, efforts that were acknowledged to be difficult under current budget restraints. "The smaller they are, the harder they are to spot, and yet they can be life-threatening," congressman Lamar Smith, chair of the committee, said in opening remarks. "NASA believes it has discovered 93 per cent of the largest asteroids in near-Earth orbit, those one kilometre or larger. But what about the other seven per cent remaining, about 70, or even those smaller than one kilometre, estimated to be in the thousands? 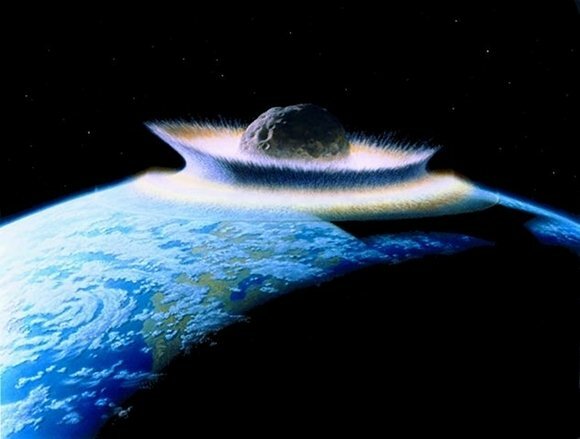 An asteroid as small as 100 metres could destroy an entire city upon a direct hit. Are we tracking those?" he asked. White House science adviser John Holdren said that funding for cataloguing potentially dangerous space rocks had risen from $5m to over $20m in the last few years. But NASA administrator Charles Bolden reckons it will still take until 2030 to spot 90 per cent of the smaller NEOs between 140m and 1km at that level of funding, NBC News reported. Smith said there was no way NASA was "going to somehow defy budget gravity and get an increase when everyone else is getting cuts", but said "we need to find ways to prioritise NASA's projects". Holdren said that the most useful project to get going would be to put an infrared telescope in a Venus-like orbit to spot asteroids that can't be seen from the ground because they're lost in the Sun's glare. The Chelyabinsk meteorite was exactly that kind of meteor, which came in from a direction that Earthbound telescopes can't look in. That telescope would cost $500m to $750m but it could reduce the time it takes to survey smaller space rocks by six to eight years, he said. Bolden has already pointed out that the imminent automatic US spending cuts, known as sequestration, will affect NASA's plans and projects - including asteroid-hunting as well as plans to get a person on an asteroid by 2025. "The president has a plan. But that plan is incremental," Bolden said. "And if we want to save the planet, because I think that’s what we’re talking about, then we have to get together ... and decide how we’re going to execute that plan." The NASA chief did emphasise that the chance of space rocks like the Chelyabinsk meteorite entering the atmosphere were pretty rare, but he admitted to lawmakers that if a larger asteroid was threatening, it would take years of advance warning to do anything about it. Congressman Bill Posey asked him what the strategy would be if a planet-threatening asteroid was discovered with three weeks' warning.